The Royal Yea Golf program this year is incorporating more team and different events in 2018. Saturday saw a three person Ambrose conducted with 5 teams involved. 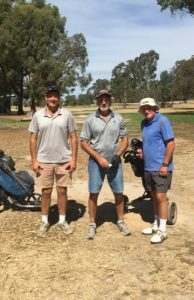 Winners by 3/8 of a stroke on handicap were Jeff Aurisch(14), Alan Pell(8) and new member Kel Perry(36) with a even par 70 off the stick. 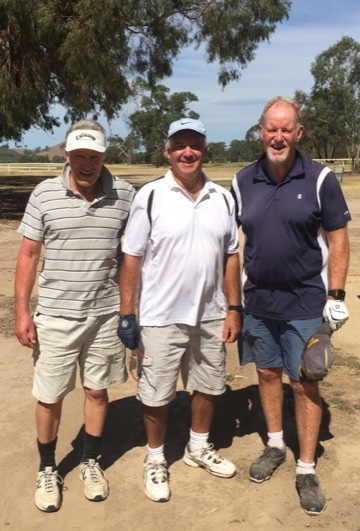 Second were Rick Wills(7), Kevin Coghlan(17) and Malcolm Bett(21) with 68 off the stick. NTP on the 14th was Rick Wills and the Club Award went to Peter Keast, Trevor Connell and Rob O’Halloran by 1/6 of a shot! Scratch Winners with 66 were Michael, Brian and Peter. Wednesday Men tackle the dunes as Ladies go Irish!